[/vc_column_text][/vc_column][/vc_row][vc_row][vc_column][vc_custom_heading text=”Princess Cut Diamond Engagement Rings” font_container=”tag:h1|font_size:52px|text_align:center|line_height:100%25″ use_theme_fonts=”yes” el_class=”cardo title-mp-remove”][vc_empty_space height=”70px”][/vc_column][/vc_row][/vc_section][vc_section][vc_row][vc_column width=”2/3″][vc_custom_heading text=”Princess cut diamond engagement rings are a beautiful way to say I love you. 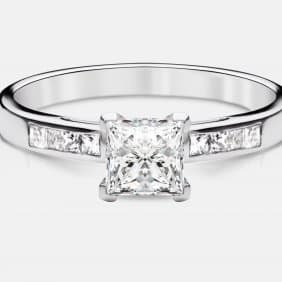 The gorgeous, ethically sourced diamonds we use along with our expert team of local craftsmen mean that you’re sure to find something you’ll be proud of.” font_container=”tag:p|font_size:36px|text_align:left|color:%2390856b|line_height:120%25″ use_theme_fonts=”yes” el_class=”cardo title-mp-remove”][vc_empty_space height=”50px”][vc_custom_heading text=”The Princess Cut Engagement Rings We Offer:” font_container=”tag:p|font_size:36px|text_align:left|line_height:120%25″ use_theme_fonts=”yes” el_class=”cardo cardo-bold”][vc_column_text]The smooth lines and gorgeous angles of princess cut diamonds (also known as Tiffany style) are a modern and elegant choice. 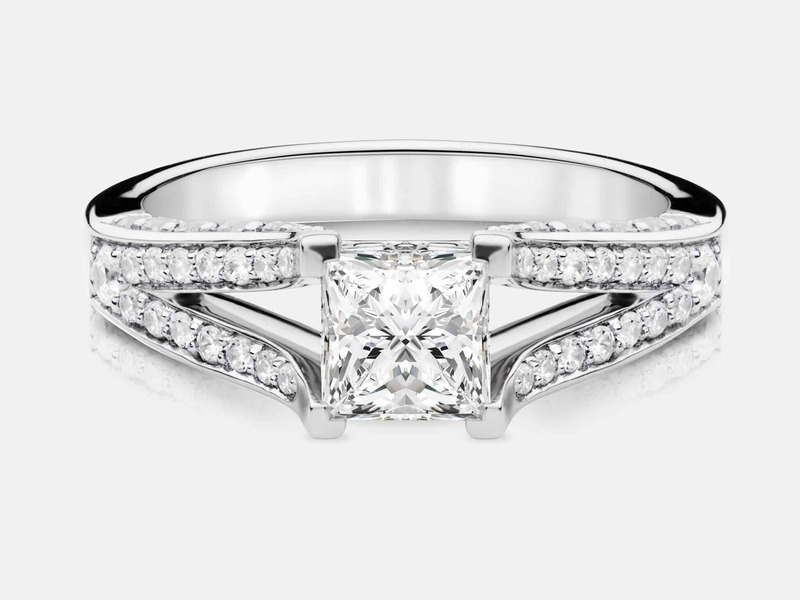 One of the most popular designs, these diamonds are made to maximize radiance while maintaining a stylish square shape. These stunning gems dazzle in beautiful solitaire or three stone settings, and bring a modern glamour to antique or contemporary styles. 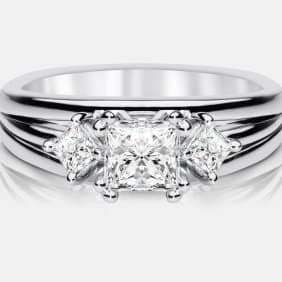 [/vc_column_text][vc_custom_heading text=”Characteristics of the Princess Cut Diamond Engagement Ring” font_container=”tag:h2|text_align:left|line_height:120%25″][vc_column_text]The princess cut diamond is a member of the “fancy shapes” family of diamond cut. It is a type of mixed diamond cut or modified brilliant which uses the techniques necessary to make both modified brilliant cuts and step cuts. This diamond shape can have a wide range of number of facets, anywhere from 53 to 144 facets. This is mainly determined by the shape (square vs. rectangular) and the way that the pavillion is cut. 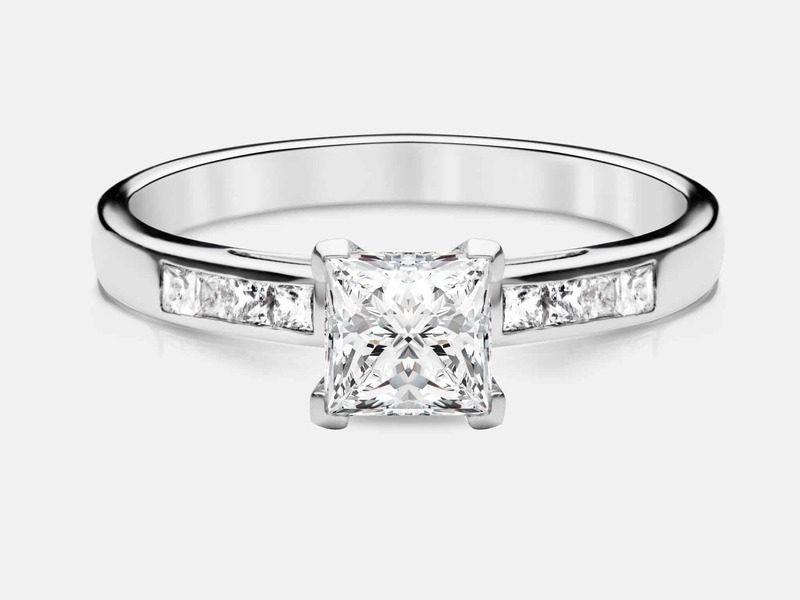 The majority of princess cuts include 58 or 76 facets. Cuts with fewer than 50 facets will not get the famous brilliance and fire that this cut is known for. 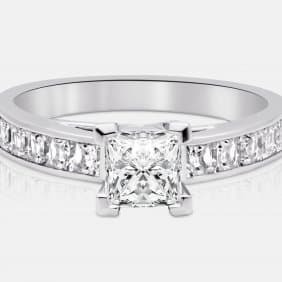 [/vc_column_text][vc_custom_heading text=”Why Choose a Princess Cut Diamond Engagement Ring” font_container=”tag:h2|text_align:left|line_height:120%25″][vc_column_text]There are quite a few reasons why you may want to opt for a princess cut diamond over the more popular brilliant round cut. For one, they’re typically cheaper. Carat per carat, they cost less than other cuts. 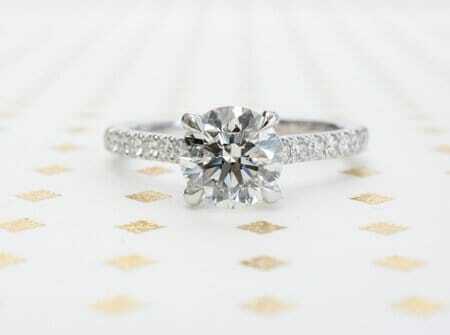 This is because you have less waste diamond when cutting a princess cut than other cuts. 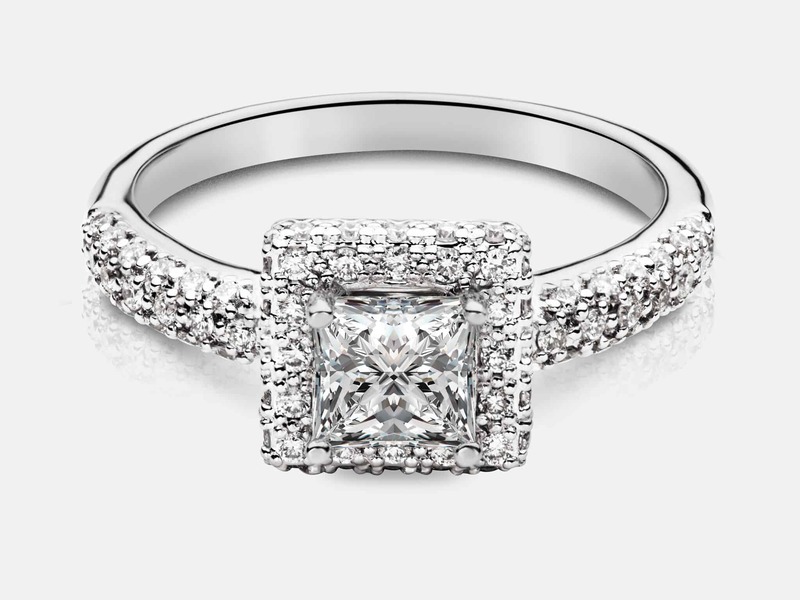 You can further increase the savings you get by going for a rectangular shaped princess cut. These are cheaper than the square cuts. 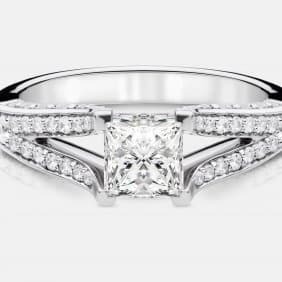 Another factor you should consider when deciding what cut to opt for is the amount of prongs you want to use in your setting. For many on the go people, having very elaborate rings with many prongs can be a nuisance. 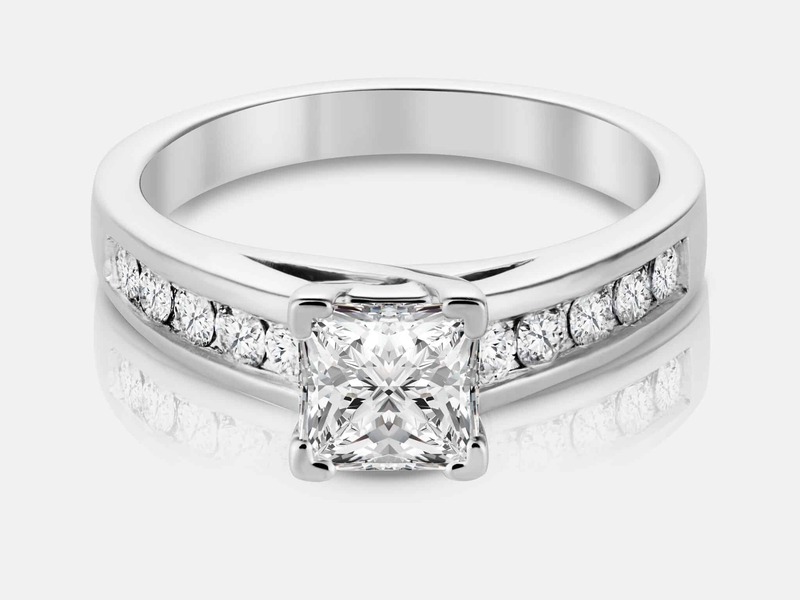 Princess cut diamond rings are perfect for a 4 prong ring. 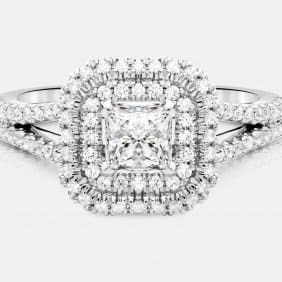 If you’re looking for a more modern style of engagement ring, princess cuts are the perfect pick. These stones are gorgeous when used in stylish channel settings in which the diamonds are secured between vertical metal walls, creating a channel around them. The princess diamond cut also works well in a floral filigree setting, the cushion princess setting, or the princess diamond wrap. 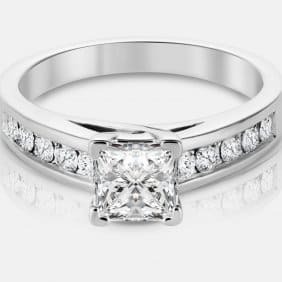 [/vc_column_text][vc_custom_heading text=”The History of the Princess Cut” font_container=”tag:h2|text_align:left|line_height:120%25″][vc_column_text]Unlike the cushion cut, princess cut is one of the newer diamond cuts, having been created during the 1960s. It has become more popular lately as a more distinctive alternative to the more popular round brilliant cut. This cut originated in the early form of the French cut, having a step-modified Double-French or Cross cut crown and a variety of unique, chevron-shaped facets in the pavilion which, when combined, lend a distinct cross-shaped reflection when the stone is viewed directly through the table. 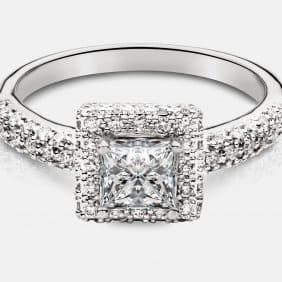 [/vc_column_text][vc_custom_heading text=”Why Choose an Engagement Ring from Jacob Mercari” font_container=”tag:h2|text_align:left|line_height:120%25″][vc_column_text]You want to get her the best ring you possibly can. Because of this, you’ll need the advice that only experts can bring. 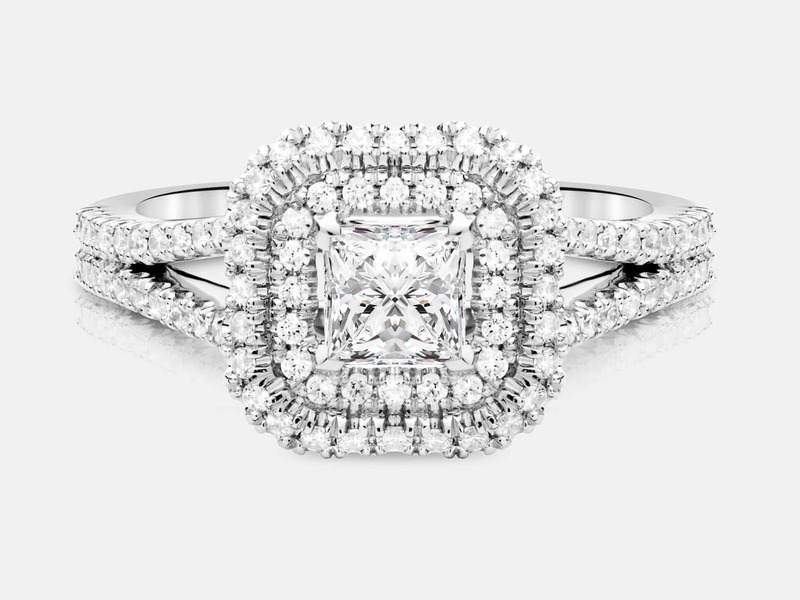 With our long history and skilled craftsmen, we can help guide you through the ring selection process. 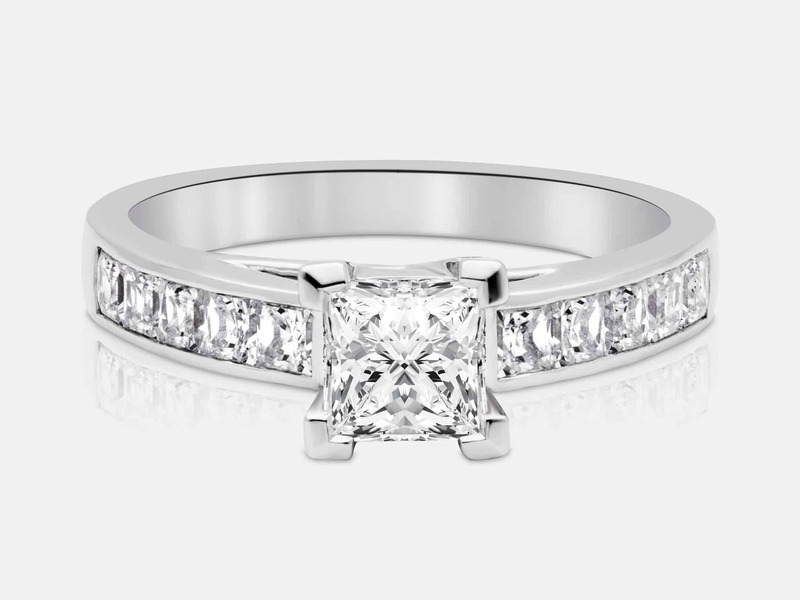 We’ll draw out the essence of what you’re looking for by showing you different stones and styles to help you truly decide on what is best for her. All of our diamonds and metals are ethically sourced, so you never need to worry about choosing a conflict-free diamond. 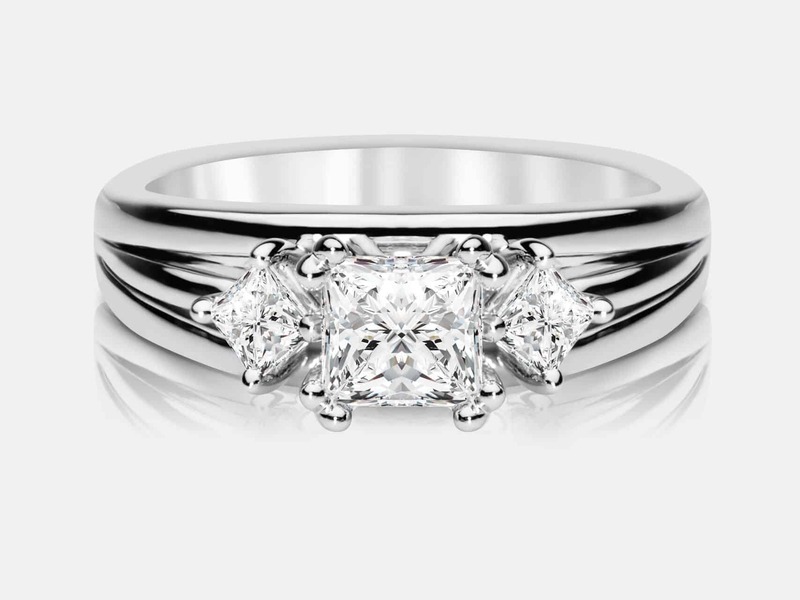 In addition, we offer an independent third party valuation for all diamonds and rings that we sell. This is to give you the best possible price.